Global elite defile memories of “War on Terror” dead, humor terrorist Belhaj who fought and killed Western troops. 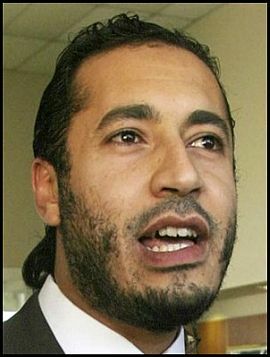 Photo: The face of Libya’s “revolution” is literally Al Qaeda. The Western world now enters surreal territory as men who have certifiably killed Americans are writing pro-NATO propaganda for British newspapers. However, Mr. Belhaj has had time, apparently, allegedly, to draft a lengthy editorial titled, “The revolution belongs to all Libyans, secular or not,” gladly published by the London Guardian, where he is allowed to go on at length, whitewashing what is essential a life-long career in terrorism and expound the merits of the wholesale mass murder he and his cohorts, under NATO cover, are committing against the Libyan people. Belhaj, for those that don’t know, is a founding member of the Libyan Islamic Fighting Group (LIFG), an official Al Qaeda affiliate, and listed by both the US State Department  and the United Kingdom Home Office  as a foreign terrorist organization and proscribed terrorist organization respectively. LIFG was the subject of a lengthy report issued by West Point’s Combating Terrorism Center  regarding foreign fighters turning up in Iraq killing US and British soldiers, LIFG and more specifically, the Benghazi-Darnah region of Libya lending more fighters to Iraq per-capita than any other nation, including Saudi Arabia. Belhaj’s Gaurdian piece, worded suspiciously more like a US State Department PR release than an essay by an Al Qaeda terrorist, verbatim touches on each and every point made by the US, UK, NATO, and found within UNSC r.1973. 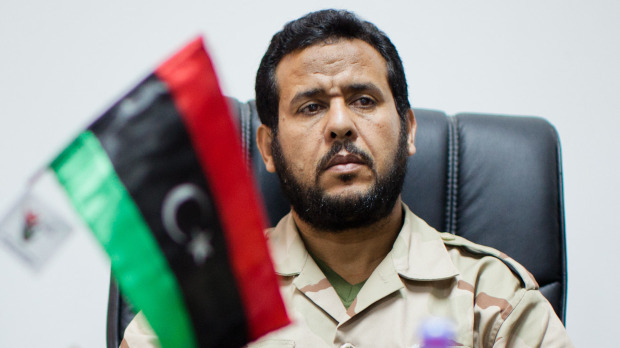 Belhaj maintains that in 2010 he was released from Libyan prison after promising to abandon his campaign of terror in Libya, only to go on to lead armed insurrection against the Libyan government months later in February of 2011. Belhaj claims that the revolution turned violent only after Qaddafi used force against protesters – this is a verified lie, as Belhaj and his LIFG have been in continuous US/UK-backed armed conflict with Qaddafi’s government for over 30 years. Belhaj, after this intitial, seemingly scripted litany of lies goes on to make veiled threats against the new “transitional government” over the dangers of “excluding” members of the “revolution.” He then thanks the “international community” presumibly NATO who literally handed the country to him – NATO whose soldiers he was literally killing in the mountains of Afghanistan, and whose soldiers his fellow LIFG fighters were killing in Iraq, and whose member states captured, imprisoned and tortured him. 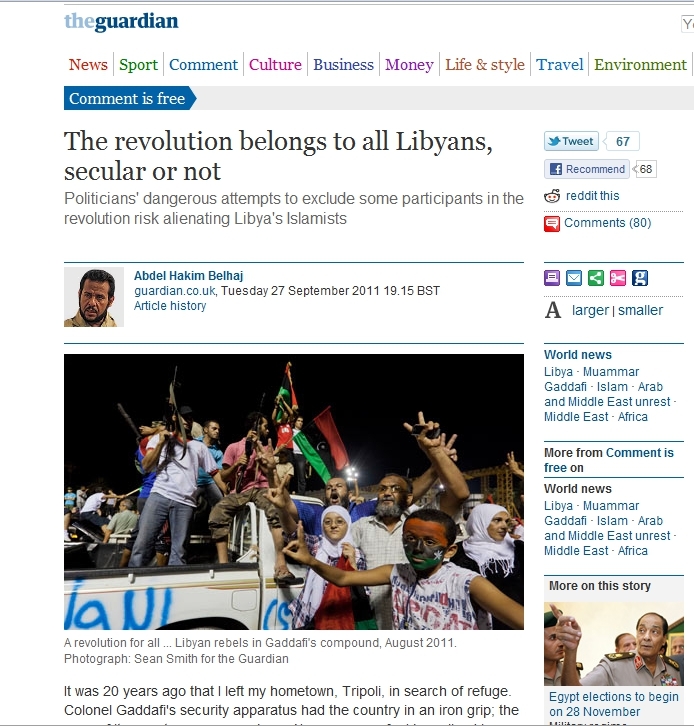 Belhaj looks forward to Libya becoming a “politically, economically and socially advanced civil state” and a “dynamic player among the family of nations.” Compared to the secular leaders Belhaj claims to fear will undermine his and his followers’ “freedom” one must wonder where exactly the divergence in ideology is, as both seem to relish the concepts of globalization . One doesn’t know whether to laugh, cry, or scream. Not just because of the obvious fraudulent propaganda the Gaurdian is trying to pass off as the words of a stone cold killer with the writing prowess of a statesman, or the fact that the Guardian, even as a hoax, is affording column space to the leader of a listed terrorist organization who we are told is part of a decade long war that has cost millions their lives, liberty, national stability, and economic prosperity. It is the fact that the Guardian, along with the rest of the corporate media is trying to literally rewrite reality and paradigms they have forced down our throats for decades with new narratives so ridiculous and contrived it is an assault against human dignity. The Guardian itself is a corporate-owned propaganda machine, a member of the unelected policy think-tank Chatham House , along side a myriad of other media, corporate, and financier interests that in reality shape our national and global destiny rather than the politicians we think we elect to represent us and our interests. Think-tanks like the Chatham House represent the collective interests and agenda of the world’s most powerful elite. They are the literal architects and helping hands that propel the global elite’s agenda forward, as clearly the Guardian is now in trying to rewrite the narrative regarding the 1o year ongoing “War on Terror” by whitewashing and elevating one of the war’s most notorious terrorists by either giving him column space, or ghost writing a column in his name. Quite truly if Belhaj wrote this farcical, verbatim repeat of US State Department talking points regarding Libya and its future, one must wonder what prompted Belhaj to fight in the mountains of Afghanistan against US troops in the first place. Surely what is good for Libya is good for Afghanistan. We must also wonder why this terrorist and his organization, apparently enamored with the the idea of fitting into the “family of nations” were fighting in Iraq against nations he is now thankful toward. More than likely Belhaj has been turned into another fictional character upon the stage of globalist theater, confounding an ignorant public with well-written statements giving well-intentioned people exactly what they want to hear, however debased from logic or reality it may be. The “War on Terror” is a war on free humanity by the criminally insane. Civilians, police, and military alike, who adhere to any code of honor must face the reality that their leadership has lost all legitimacy and needs to be expediently removed from power. Hard decisions are coming as the insanity becomes ever more acute. A certified terrorist writing columns for a British newspaper regarding a war that is supported by both “left” and “right” political establishment should ring alarms and conjure horror in even the most skeptical of minds.